PMB Real Estate Services cares about not only our tenants, employees, and partners, but we strive to expand our Culture of Caring across the Nation! 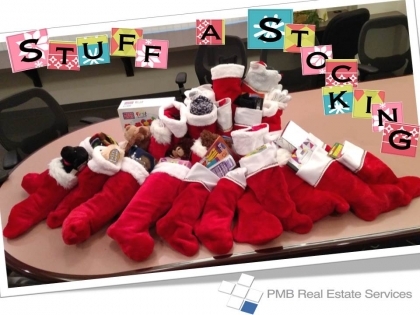 This year in the true spirit of the Holiday Season we joined with Family-to-Family for their Stuff-A-Stocking Campaign. We are pleased to announce that the RES Family stuffed 31 stockings for boys, girls, men and women at the YWCA of San Diego! Special thank you to the generous employees of PMB Real Estate Services and Pacific Medical Buildings.